As we approach Christmas and the days shorten, the majority of stock are now housed for the winter months to allow grass pastures to rest before the growing season of 2019. These are the basic requirements for an animal to remain healthy and productive. As with all man-made structures, design can limit the likelihood of fulfilling these basic requirements. If any or all of the above are limited and combined with the Irish weather (mild and moist air ventilation), it can create the ideal environment for bacteria and viruses to flourish. To help reduce the risk of disease, most Irish farms are at some level using bedding conditioners. Be highly absorbent as this is the foundation for a successful fight against bacteria growth. Be kind to sensitive skin while neutralising the animal’s lying area. Absorb ammonia odours to help air quality and reduce stress on the animal’s lungs. Be easy to apply in a low volume per square meter. Ideally with a low dust content to help reduce irritation to the eyes and animal nasal passages. Contain highly effective antibacterial properties. 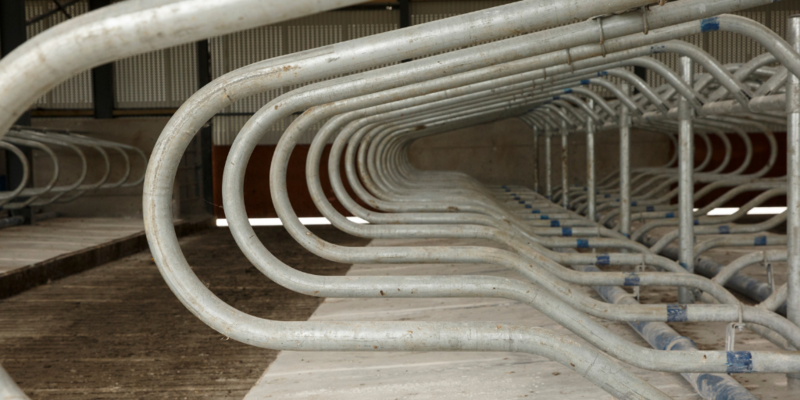 As units have expanded rapidly in the last number of years, this has provided an opportunity for us to develop our specialist product, Sanitise, a housing and bedding conditioning solution which promotes a dry hygienic environment in the bedding of all livestock. Sanitise contains a high absorbent plant-based material which is highly effective at absorbing moisture from the bedding environment. It includes a blend of essential oils with natural antibacterial properties that gives a refreshing smell and neutralises the effect of ammonia, which in turn, reduces respiratory problems. 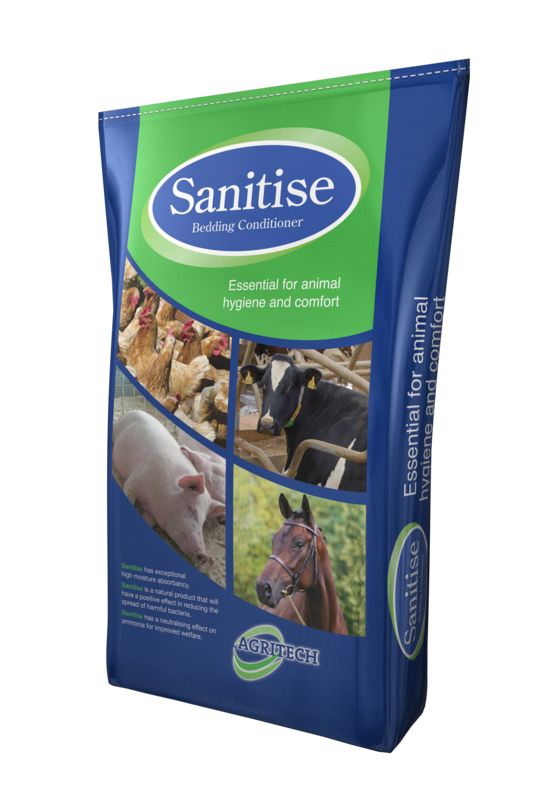 As an added bonus, Sanitise contains a hoof conditioner to help counteract foot problems associated with standing in slurry and wet areas. For more information on Sanitise, click here or contact your local Agritech distributor.